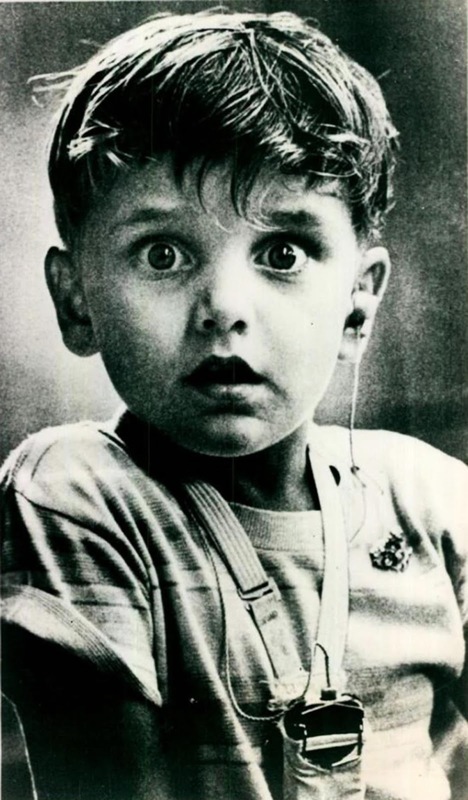 The exact moment when Harold Whittles, born deaf, hears for the first time after placement of earpiece. This emotional picture shows a rather astonished little boy: he isn’t sure what’s happening, or how it’s happening. From a world of silence, he has suddenly been transported to a world of rich, vibrant sound. It is new, it is strange, and it’s also a little scary. His little eyes grow wide with wonder, and he is itching to respond to this new world that has been presented to him. Harold Whittles, the little boy, has just been fitted with a hearing aid. Deaf until then, Harold was introduced to sound with the arrival of technology at his doorstep. Just as his doctor fitted the hearing aid, the first wave of sound awoke a dormant sense in the little boy. At that precise moment, photographer Jack Bradley froze the scene in a frame from behind the lens. The photo was published in the February 1974 edition of Reader’s Digest, in the article “Unforgettable moments caught on film”. I was left as stunned as li'l Harold!